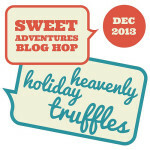 I was super excited when I found out that this month’s Sweet Adventures Blog Hop was truffle themed! No, not that delicious smelling mushroom, but a ganache-filled chocolate treat. My mind whirred with Christmassy ideas… snowman truffles with a spiced centre? Truffles decorated as mini Christmas puddings? 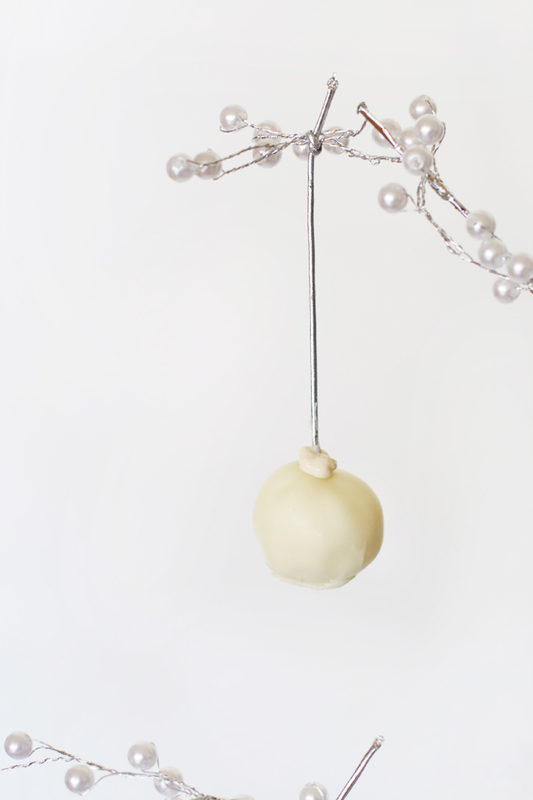 I finally settled on the idea of Christmas bauble truffles – I initially was going to make them white chocolate and coconut, and at the last moment changed it to lime. Not only did it taste delicious but the flecks of green in the ganache made it suitably themed! And, this is a big call, but I think these white chocolate and lime truffles taste better than those white choc Lindt balls I go nuts over. Really, try it for yourself. These definitely ended up more “rustic” (ie messy) than I hoped, as I ideally I wanted a perfectly round truffle to hang from my Christmas tree. But alas when the truffles dry, the melted chocolate naturally flattens a bit on the bottom. 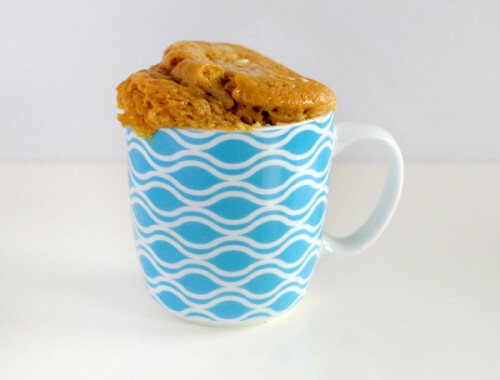 Heat the cream in short bursts in the microwave until simmering hot. Add the chopped white chocolate and stir until it's melted and smooth. Stir in the lime zest, cover with cling wrap and refrigerate for 2-3 hours. Scoop out ganache into balls using a melon baller or teaspoon. Gently roll the balls in your hand for an even finish. If the weather is hot, put the balls back in the fridge for 30 minutes on a tray lined with baking paper so they don't stick. To add their hangers, use a toothpick or skewer to pierce a hole directly through the truffle. Cut equal lengths of elastic and tie a knot at the bottom. Thread the elastic through the truffle, the knot will ensure it doesn't pull completely through. Melt the remaining white chocolate in the microwave. Dip each truffle into the melted chocolate, coating evenly. 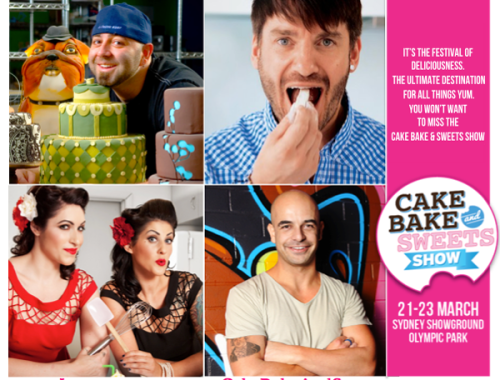 Return to the baking tray to harden. 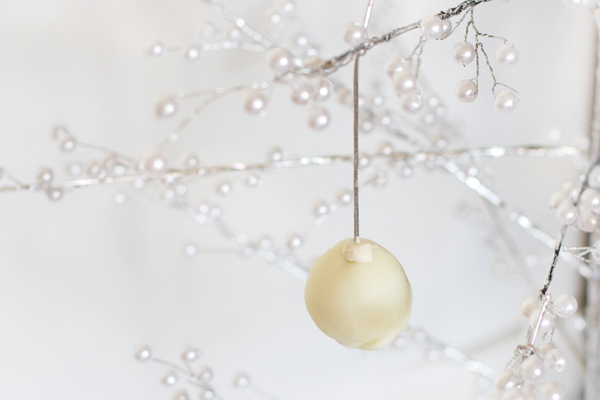 Pipe a little circle around the base of the string with white chocolate or an edible cake gel pen to make it look like a bauble. 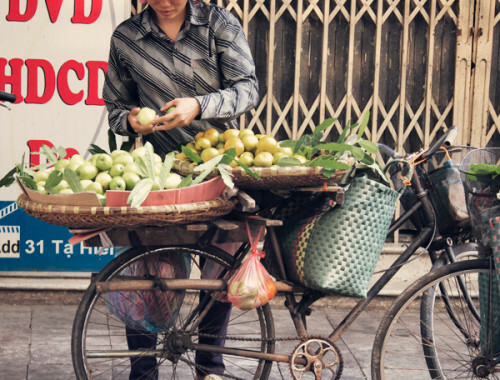 I loved getting creative with this recipe (and enjoyed eating them even more). 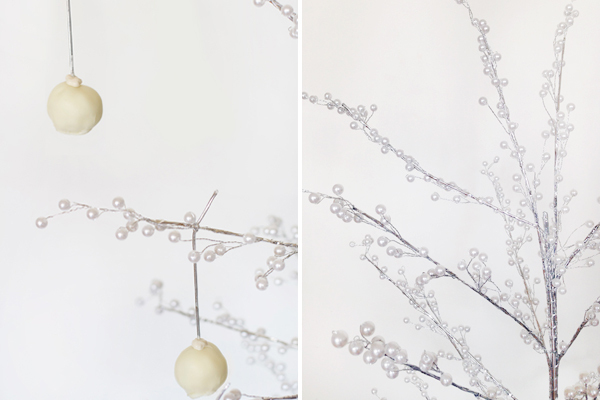 I hope you like these Christmas baubles too! What a brilliant idea! I’m imagining guests rushing your Christmas tree once they realise your baubles are edible. These are Gorgeous Swah! You come up with such cool things! 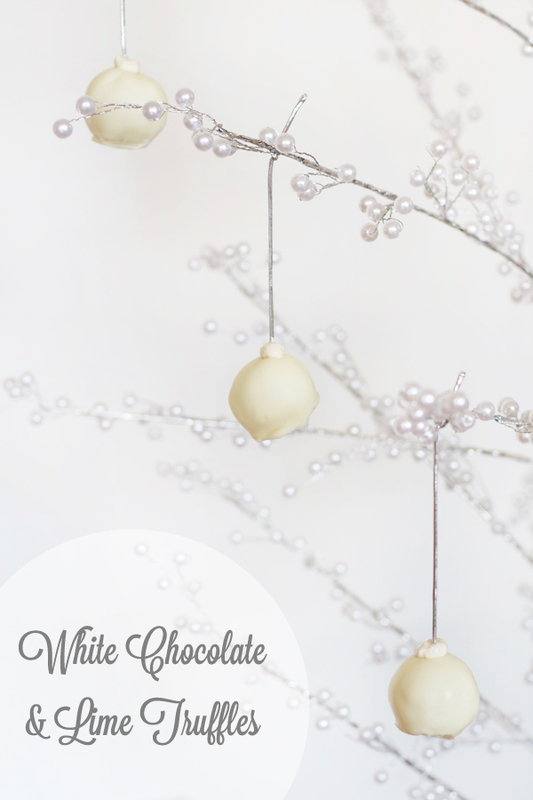 These look so cute and delicious (I too share your affection for white lindt lindor!) also I’ve totally got a white theme going on with my tree so these fit perfectly. Love yo’ stuff, as per usual! I’ve been meaning to comment on this ages ago, THESE ARE THE ABSOLUTE BEST. Whimsical, delicious AND practical.